São Paulo is the main shopping tourism destination in the country. There are from luxurious options to super affordable shopping centers. 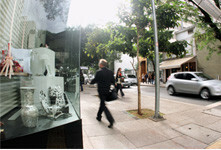 Rua Oscar Freire. Photo: Caio Pimenta|SP Turis. One of the most charming addresses of São Paulo, Rua Oscar Freire bears the title of the eighth most luxurious street in the world. There are almost 900 meters and over 200 exclusive national and imported signature stores, in the heart of Jardim Paulista. The street and its surroundings have an exclusive decoration, wide sidewalks, banks spread throughout the street and underground electrical cables. In case the objective is not to spend, it is also worth to go on an uncompromised tour, mainly on weekends, when it usually receives a lot of gays taking advantage of the end of the afternoon for a coffee in one of its charming coffee shops. If the intention is to ensure good bargains and excellent shopping, go to Rua 25 de Março, the largest open air commercial conglomerate of Latin America, with over three thousand stores. The entire region around it are dedicated to trade of trinkets, costumes, toys, decorative objects and other household accessories. São Paulo is today the shopping capital of Latin America. There are over 50 in the city, serving all preferences. 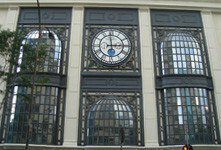 Patio Paulista, located in the heart of the city, has a modern look, for starter with its facade, which has a sumptuous clock with a diameter of five meters. It has 234 stores of international brands, renowned Brazilian signature brands, electronics and household articles and seven more movie houses, differentiated coffee shops, lottery office, hair salons and clothes repair shop. Another option, now in the Western region, is Bourbon Shopping, inaugurated in 2008. Its differential is on account of its cultural offering: it has ten movie houses (the first Imax movie house of Brazil), the modern Teatro Bradesco, which holds 1,400 spectators and a large branch of Livraria Cultura. It has 195 department stores, signature brands, sports articles, and electronics, aside from supermarket. To whoever prefers the charm of art, craft, design and antiquity fairs, São Paulo has good options, like that which happens on Sundays at Masp’s free span, specialized in antiquities. In Pinheiros, close to Vila Madalena, there is even the traditional fair at Praça Benedito Calixto, where the gay public marks their attendance on Saturdays in the afternoon to get together with friends and to have a chat. 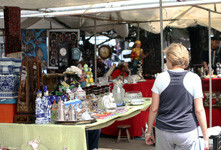 With the character of a flea market, it is the most visited among the dairs and it has almost 300 merchants who sell decorative articles and antiquities, aside from items like vinyl records (LPs), vintage objects and high level decorative articles. For a quick bite, there are foods and tidbits in the stalls spread throughout the fair.